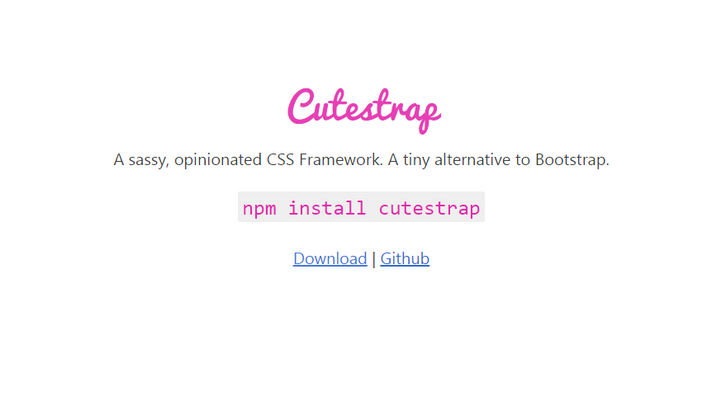 Cutestrap is a sassy, opinionated CSS Framework. A tiny alternative to Bootstrap. It supports Vertical Rhythm, Consistent pattern for form fields, 8kb minified, Smart defaults for all default elements (Conventional), CSS specificity is very low in the class hierarchy (Configurable), Solid foundation for a living styleguide using KSS. It is released under MIT License.